Danny da Costa started his career as a DJ and producer in 2007 and has been busy in the DJ world ever since. Every night he builds up his set and his unique combination of sounds enables him to attract a wide and various audience, as he adjusts his sets to deliver to all that the crowd demands. With an average amount of 3 shows every week, Danny da Costa has become a very experienced DJ during the last years. Apart from pleasing the crowds in The Netherlands, Danny da Costa is breaking out internationally in countries like Italy, Montenegro, Bulgaria, Spain, Turkey, Greece, Austria, France and Belgium. Besides playing more than 150 shows every year, producing is a prominent focus for Danny da Costa and an area in which he has been very active. After massive support from many famous dj’s from around the globe, its obvious that he earned his marks when it comes to producing. Skrillex & Diplo played his track “Go” for over a year on festivals like Ultra Miami, Sziget, Lowlands, Coachella and Tomorroworld. 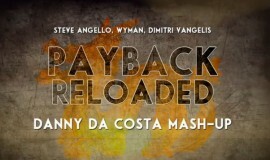 Danny also released originals and remixes on labels like Spinnin Records and Armin van Buuren’s imprint Armada Music. In 2013 he stormed the Itunes top 100 chart in Holland with his remix of Explode. Besides all this Quintino and Nicky Romero noticed his talents as well and played his originals and bootlegs in their radioshows on SiriusXM (USA) and SLAMFM (The Netherlands) and on Sensation last summer. The latest achievements last year contains massive support by Blasterjaxx and Ferry Corsten on Danny’s new release ‘Check it Out’ aired on their radioshows in more than 80 countries worldwide. This is definitely not the last thing you have heard from him both rocking the stages and producing massive Electronic Dance Music, so be sure to keep an eye on this talented guy because he is ready to take over!